Neglected Children: Why Autism is important to address? According to Center of Disease Control *CDC), 1 in 59 children has an autism spectrum disorder (ASD) according to CDC. ASDs begin in childhood and tend to persist into adolescence and adulthood. In most cases the conditions are apparent during the first 5 years of life. ASD is characterised to varying degrees by impaired social behaviour, communication and language, and a narrow range of interests and activities that are both unique to the individual and carried out repetitively. The level of intellectual functioning in individuals with ASDs is extremely variable, extending from profound impairment to superior levels. “In many parts of the world, people with disabilities simply don’t count…They are neglected and isolated. They are attacked and abused. They are invisible”. 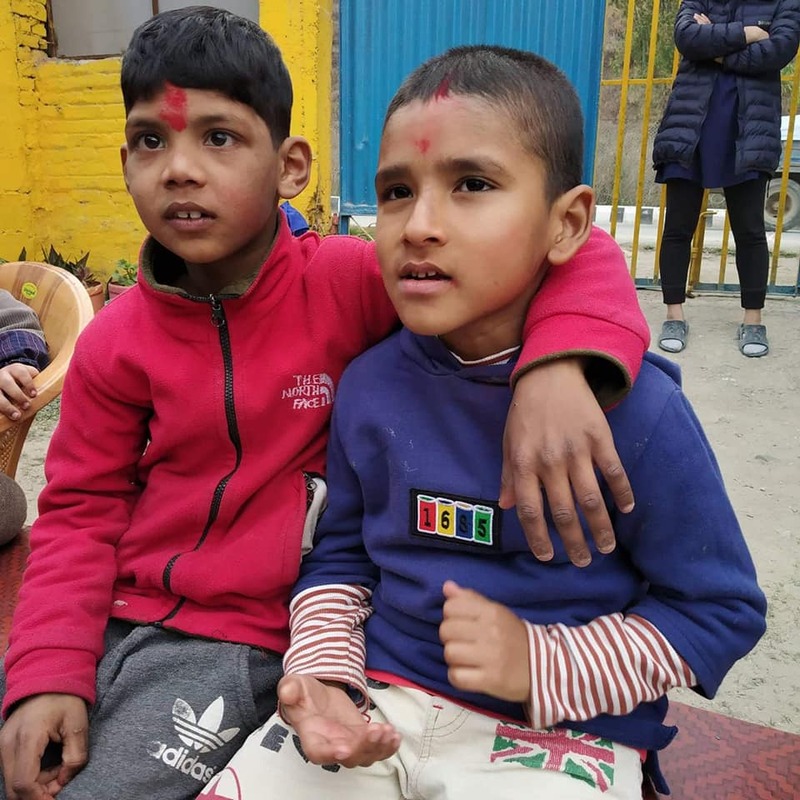 There is no official data on how many children in Nepal are autistic and how many of them are out of school. Anecdotal reports suggest that diagnosis is likely limited to children with severe autism, which means that children with higher intellectual functioning are not likely to seek help outside the family or their immediate community. Caring for children with ASD can impose significant emotional and economic burden on families, especially when access to services and support are inadequate. 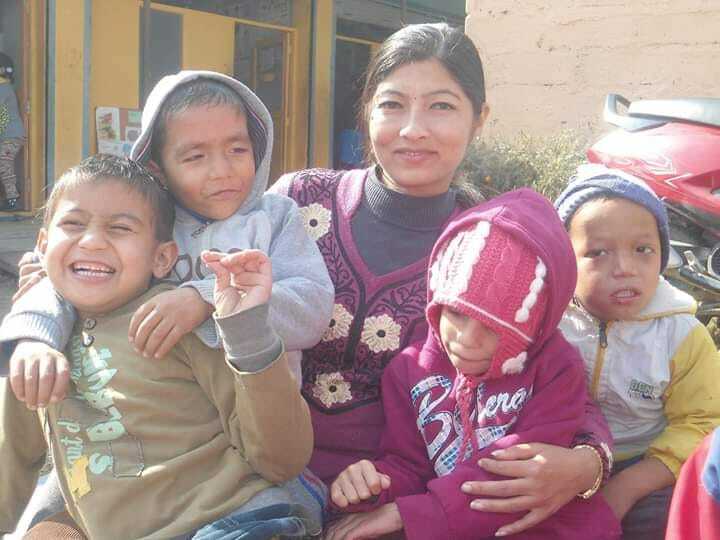 Children with ASD in Nepal are often denied the right to attend school. This is in part due to the striking lack of awareness and understanding of autism by parents and professionals alike. There is an urgent need to reduce barriers to access, learning and participation in education for children with special educational needs. Existing advocacy and support organisations are mainly limited to paediatricians, parents of autistic children and those who work in the disability sector. 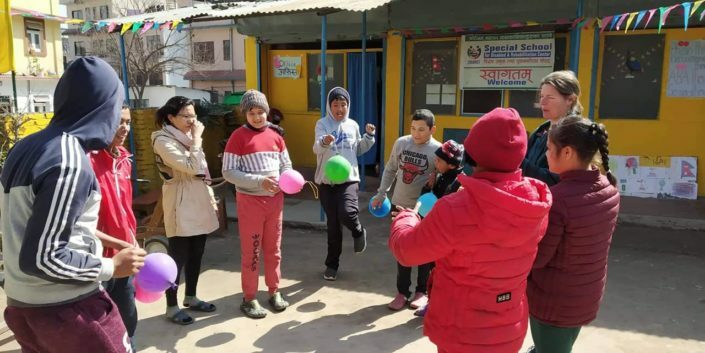 Let’s Come together to provide opportunities to the special needs students via the first school in Nepal that is determined to bring difference to the lives of children diagnosed with ASD. So, Donate Now to bring hopes to the neglected children. Individual donations & in-kind contributions. Each and every penny (minus transaction processing fee) will be used to fund the construction of a part of the special needs school in Nepal. Our current target is $60,000 , which will be used to construct the blocks marked in blue rectangle: 9 classrooms, one toilet and one canteen. Materials used in the school will be prefab. 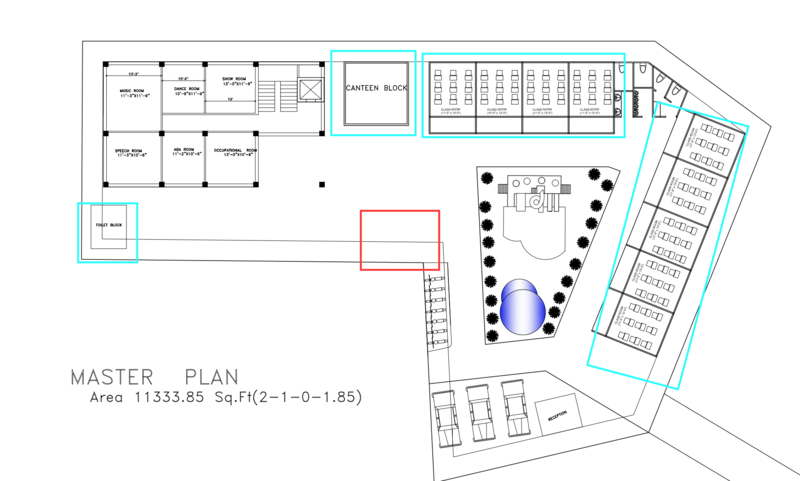 Master Design of the School (Blocks in blue rectangles will be funded by Mission Rebuild Nepal. 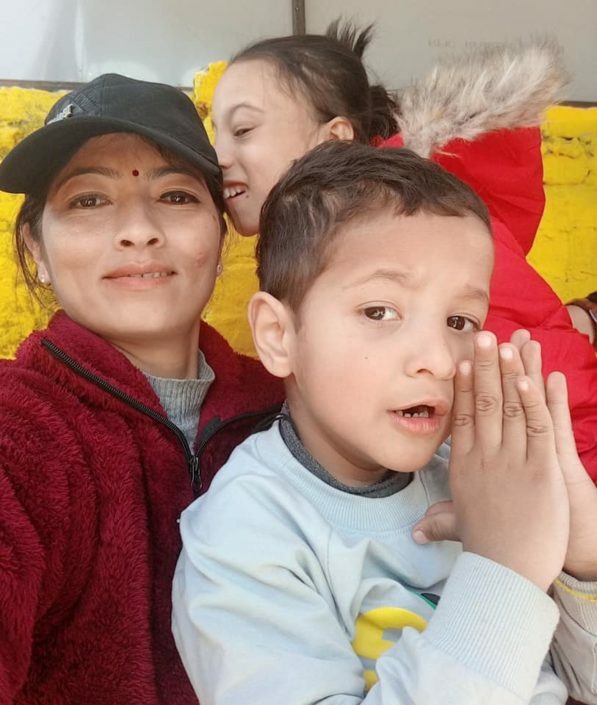 Started in Kathmandu Nepal in 2010 with just two special children. As of March 2019, it has 45 children and 26 staffs ; 400 children are in the waiting list. SSDRC focuses on Daily Living Activities and therapies. There are four levels that children go through : lowest being the ‘D’ Level and the highest is ‘A’ which is the level of rehabilitation. After level ‘A’ the children go to regular school or vocational training. Orientation classes are conducted for children who go to regular schools. 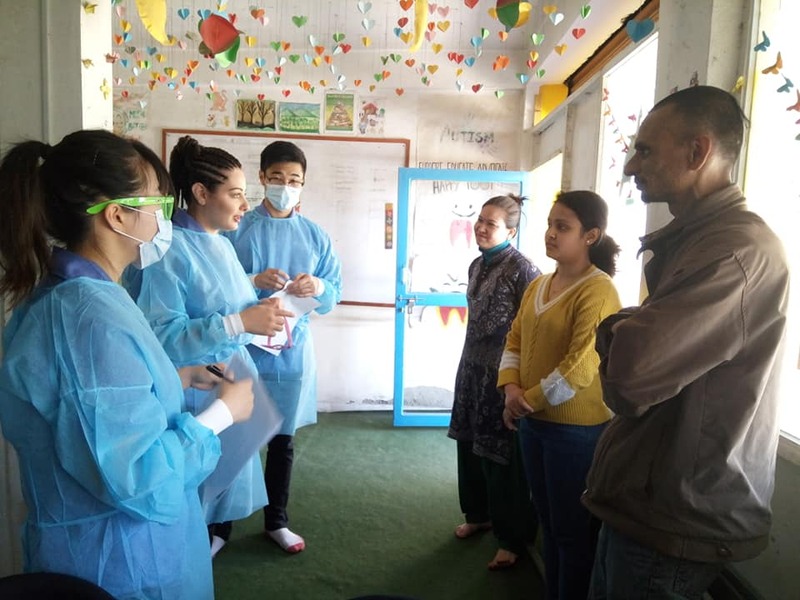 Mission Rebuild Nepal believes that there are four pillar of success : (a) Education Quality, (b) Health Service Quality, (c) Infrastructure, and (d) Culture. Current project that SSDRC is effectively running directly fits under “Education Quality” pillar. 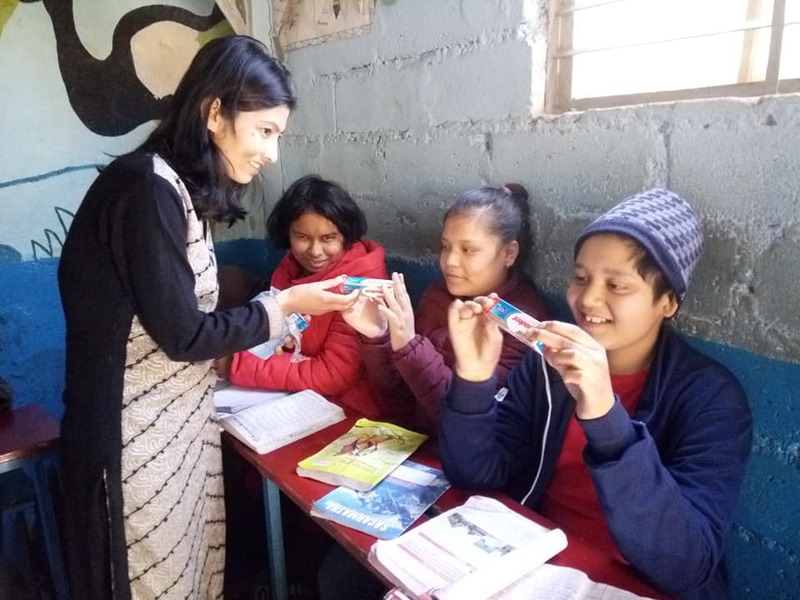 This organization is run by a dedicated social leader, Sabita Uprety , who has a track records of success, commitment, and passion for providing opportunities to specials needs students. Therefore, Mission Rebuild Neal has chosen this organization to work together on uplifting the lives of special needs students in Nepal. There are are 400 students in the waiting list, but only 45 can be accommodated in the current building. So, Mission Rebuild Nepal Team would like to help expand SSDRC’s ability to serve this children population and make a bigger impact. Mission Rebuild Nepal has signed a Memorandum of Understanding (MOU) with SSDRC, according to which, MRN will transfer funds in installments, or in multiple phases. Project will be divided into three to four phases: MRN will transfer money for the Phase one first , and will transfer the second installment only after receiving sufficient proofs of completion of Phase 1. This process worked effectively during our bigger Rebuilding Project, and we are confident that it will work effectively this time as well. We have a simpler philosophy: If someone trust you with money, better be accountable and transparent, and ensure that the fund is used towards what it was supposed to be used for. “I moved to Kathmandu from a rural village called Dolakha in the pursuit of a better life for myself. I was faced with great difficulties and challenges in my life despite being educated and perfectly capable of carrying out daily activities. When I saw an autistic child struggle for life on the street, I realized that my struggle was nothing compared to all the underprivileged children with special needs. That day, I made a promise to myself that I am going to do something about it. I don’t have any children of my own but I feel like a mother, mother of such a big family. Their laughs, their cries, their hugs give me strength to fight against all odds. I will continue to be beside them no matter what difficulty I May face.” says Sabita Upreti, founder of Special School for Disabled and Rehabilitation Center (SSDRC) who started this organization after witnessing social brutality and discrimination against children with special needs. In 2010, she took all the money her family had saved for her own future and began this journey with 2 kids whom she had picked up on the streets of Nepal as they were going through extreme conditions. Today, she is a proud mother of 45. 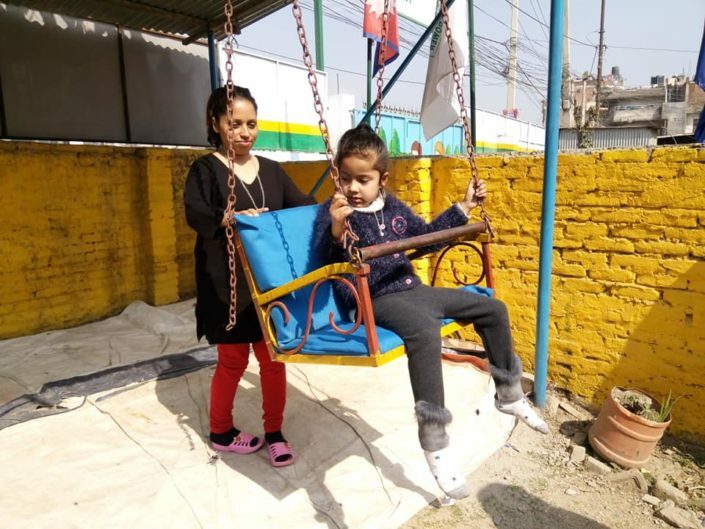 Eight years later, she has a legitimate organization with 26 employees some of whom rehabilitated at their own rehabilitation center and became employees at SSDRC. The school focuses on teaching children with daily living activities, cognitive, behavioral and physical therapies to help them become as independent as they can be. Children with minor autism can be rehabilitated and transitioned into regular schools. SSDRC had already rehabilitated one hundred children into society. There are currently 400 hundred children on the waiting list. 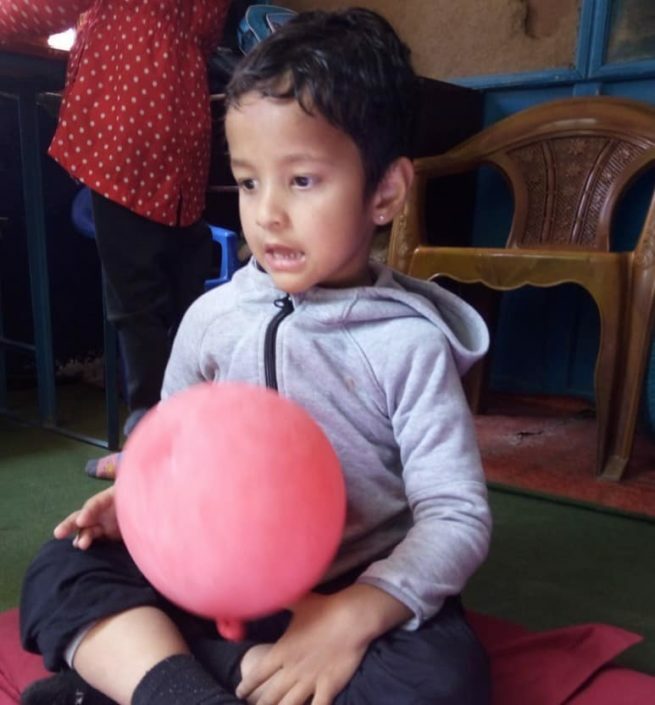 Low income countries like Nepal where societies are still culturally conservative and lack awareness, parents generally view disorders like this as a burden instead of providing necessary support around them. Sabita is not just working with autistic children, her autism awareness campaign has also opened the eyes of thousands of parents. Her awareness efforts has led the Country to finally recognize Autism as a disorder in 2017. SSDRC has been awarded with 10 national and 4 international awards for its contribution to society and human life. Sabita’s dream is to build a large Autism Treatment Center where they can accept and teach a large number of children and at the same time, serve as a premier Autism Research Center in Nepal. So far, she has been supporting her organization through parental donations and small individual contributions. SSDRC needs more resources to expand and accept children on the waiting list. And we believe that this story deserves to be heard, that is why Mission Rebuild Nepal (MRN) has decided to partner with SSDRC to help raise funds and provide logistic support to help achieve its vision. Mission Rebuild Nepal (MRN) is a USA based philanthropic organization formed in 2015 to provide earthquake relief in affected areas of Nepal. Our organization has raised nearly half a million dollars and rebuilt an entire village with 800 brand new houses and a school for children to resume their studies. Since then, MRN has been engaging in various charitable causes all throughout Nepal. It carefully selects each cause and we vet every organization before making a charitable contribution to ensure that every penny gets spent directly towards the cause. MRN team was moved by Sabita’s courage, determination, and the results she has been able to achieve with so little help. 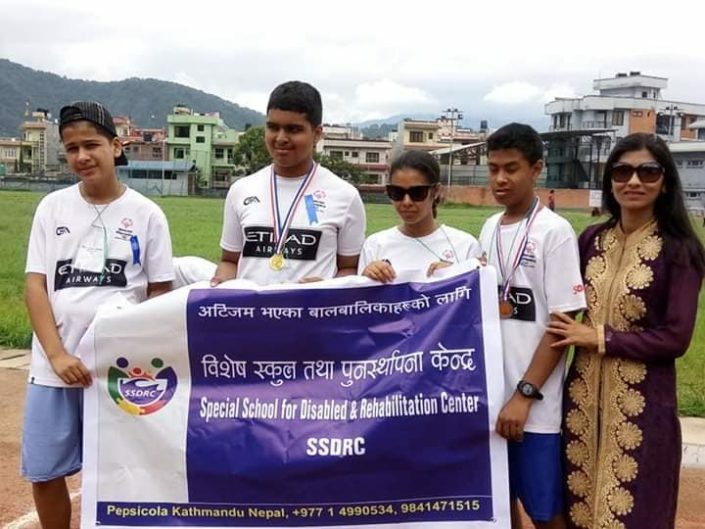 SSDRC does not just help children with special needs, it also serves as an inspiration to many developing countries like Nepal. In fact, to the mankind. MRN welcomes you to become a part of this great humanitarian effort. Every penny counts so does every child! All donations made through Mission Rebuild Nepal is tax deductible in the US. अपाङता मेरो कमजोरी होईन तागत हो,हामिलाई दया होईन अवसरको खाचो छ- बिपना श्रेष्ठ (Club foot).Everybody should watch this inspiring video how she is giving her exam in SSDRC by one finger. Dance of our children with Autism & IDस्टेप कस्तो याद भाको म त छक्क परे !! !पारी त्यो डाडामा घाम लाग्यो घमाइलो, लाग्यो मलाई रमाइलो तिमी र म घुम्न जाउन !!! See how child with Autism(Yaman) of SSDRC riding a tricycle happily.